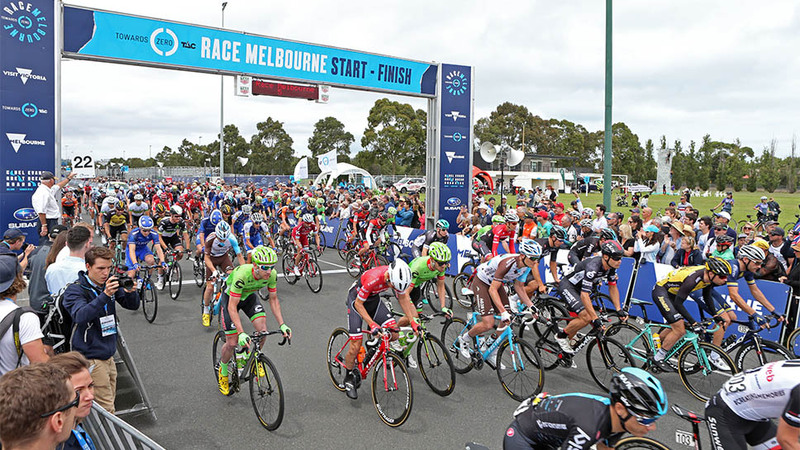 Melbourne criterium a huge success – on and off the Formula 1™ Grand Prix track. 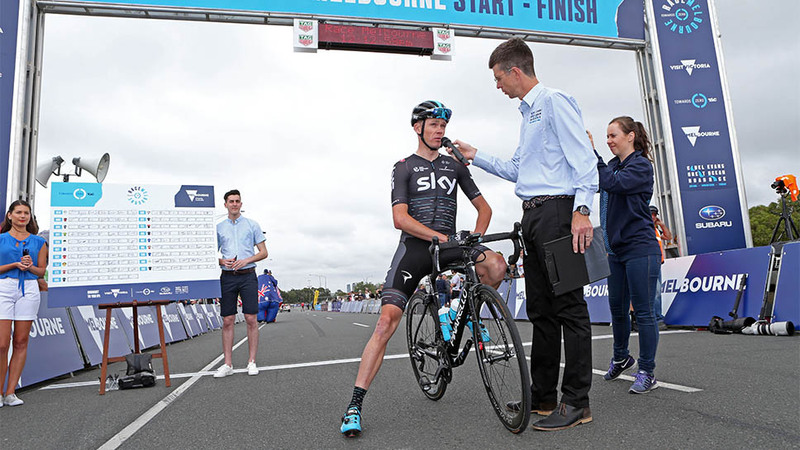 When Signature Sport began collaborating with Cadel Evans and Visit Victoria to develop a criterium bike race at Melbourne’s Formula 1™ Grand Prix circuit, we knew it would create an opportunity for important partnerships in sport and business. In particular, how the cycling community receives – and reacts to – road safety messages. 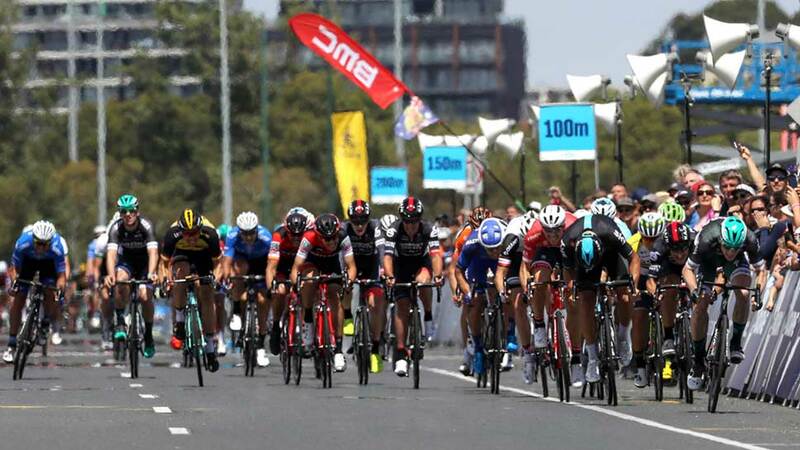 In 2016, Signature Sport approached the Transport Accident Commission (TAC) to take up naming rights of the men’s and women’s crits as part of the Cadel Evans Great Ocean Road Race. This provided the TAC with additional ways to promote its ‘Towards Zero’ road safety message to a highly-engaged audience. The goal of Towards Zero is to reduce road deaths to fewer than 200 and see a 15 per cent reduction in serious road injuries by 2020. 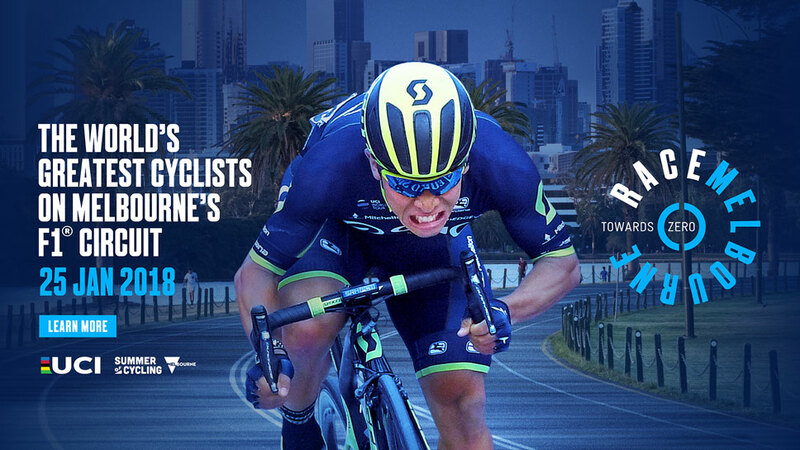 To help deliver this campaign, Signature Sport collaborated with the TAC, Victorian Government, Cadel, race ambassador Caleb Ewan and cycling broadcaster Robbie McEwen. Together we rolled out innovative event activations and social media campaigns, which allowed the event to assume a leadership position on this important subject. TAC chief executive officer Joe Calafiore said, addressing the issues faced by cyclists, motorists and pedestrians alike was vital in working towards a future where no one is killed or seriously injured on Victorian roads. “The TAC’s involvement in this event allows us to drive home the importance of cyclist safety in particular,” he said. 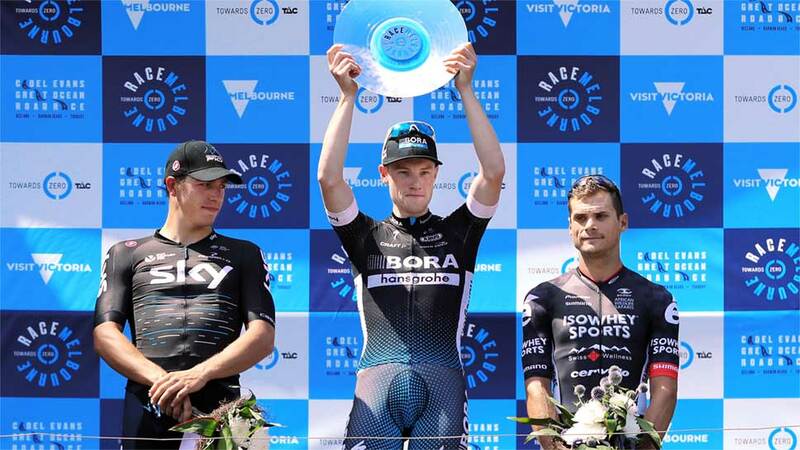 We thought the inaugural Towards Zero Race Melbourne in 2017 was big – but this year’s staging of the UCI sanctioned fast and flat criterium was extraordinary. 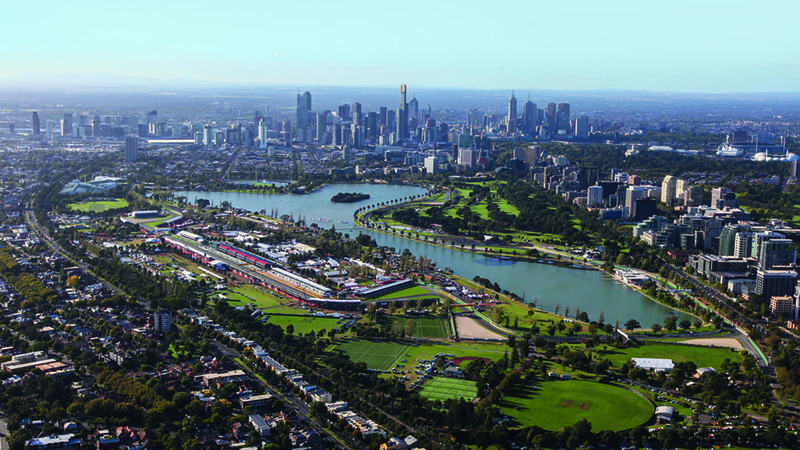 A record field of the world’s best cyclists converged on Albert Park, with the elite men racing against the stunning Melbourne city backdrop in a twilight timeslot. For the second year, winners of the men’s and women’s crits received equal prizemoney – both taking home $A12,240 (€8000). 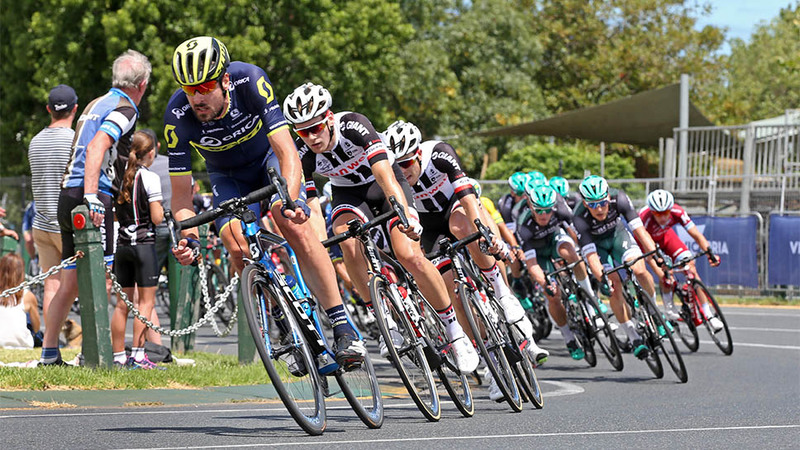 The elite men pushed speeds of 70km/h on two wheels, making it one of Australia’s fastest bike races. Signature Sport’s Caleb Ewan (Mitchelton-SCOTT) was named event ambassador. 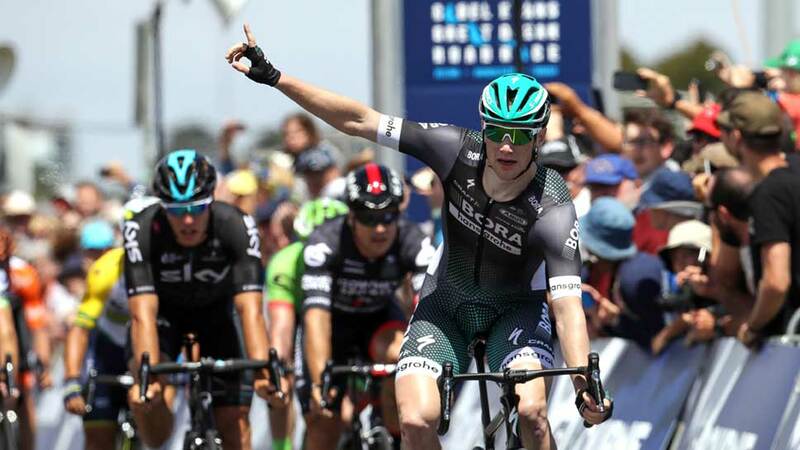 The event was the perfect prelude to the Cadel Evans Great Ocean Road Race Elite Men’s and Elite Women’s road races, as the action moved from Melbourne to Geelong and the Surf Coast region.